Mercifully, society has not yet reached a superhero singularity in which every quantum of popular culture has to be spun out from a comic book property. 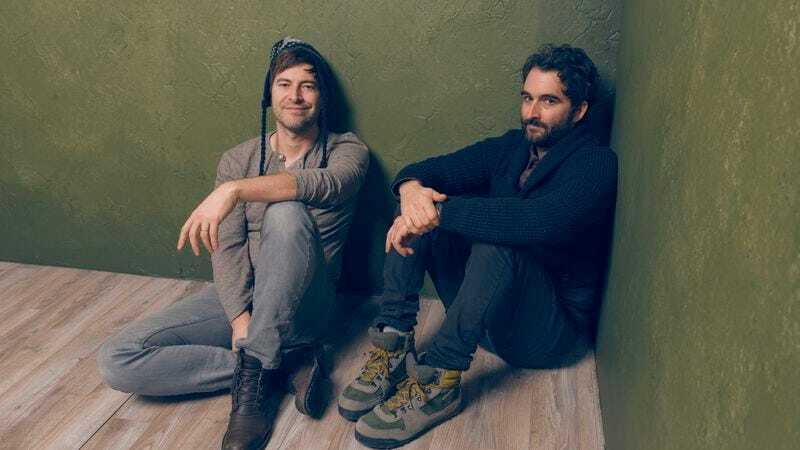 As such, indie filmmakers Mark and Jay Duplass were given the option to say no when offered the chance to work on an enormous tentpole behemoth. The brothers—who have managed to build successful quadruple-hyphenate careers by writing, directing, producing, and acting in a string of low-budget, relationship-centric films (Baghead, Cyrus) and television shows (HBO’s Togetherness)— revealed the rejected offer while speaking at a Writers Guild Foundation event last week, after the moderator asked if they had yet been approached by either Marvel or DC. As odd a choice as these two Louisiana-born brothers might seem for writing and/or directing a big, expensive punching-and-kicking movie, keep in mind that the third installment in Marvel’s Thor franchise is being helmed by soft-spoken New Zealand comedian and Flight of the Conchords collaborator Taika Waititi, and Joe and Anthony Russo—whom Marvel are entrusting with multiple Captain America and Avengers film —made their reputation directing episodes of Community and Arrested Development. So who knows what the Duplasses could have brought to the genre?